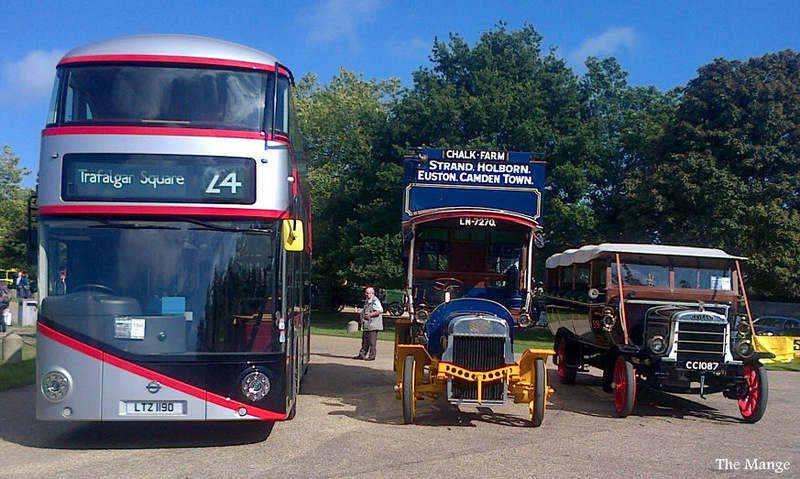 After an absence of many moons, Sunday the 20th September saw the annual Showbus event return to Woburn. Regrettably a catalogue of late local decisions and incidents on the morning, conspired together to cause massive delays to arrivals of participants and the visiting general public. 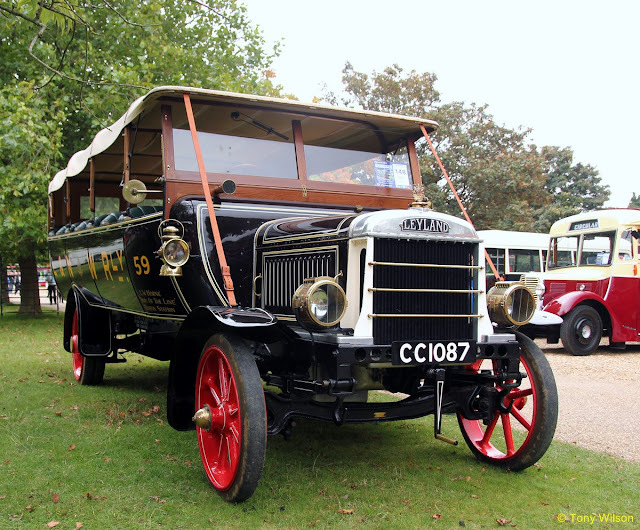 However, that said the day was dry and warming and eventually there was a splendid array of vehicles of varying ages, and especially a turnout of 'Golden Oldies'. The latter were of particular significance as they supported a mini event which took place during the day. Mike Sutcliffe MBE, he of the Mike Sutcliffe Collection has over the years gathered a collection together of around 15 vehicles, mainly buses of Leyland manufacture from the period 1908 to 1934. Most kindly he is in the process of passing some on to the London Transport Museum. 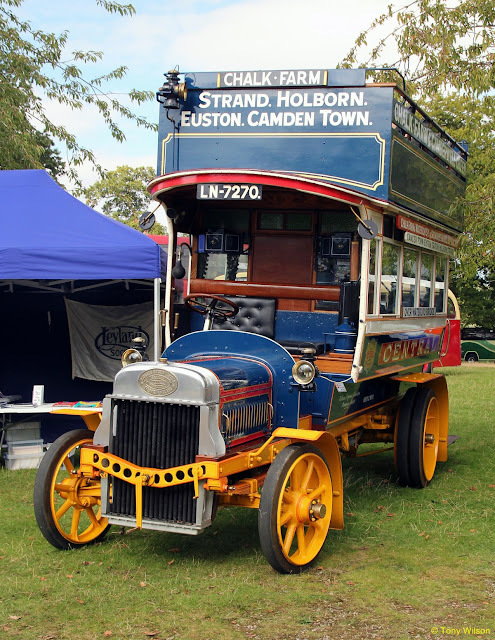 Included will be the 1924 'Chocolate Express' Leyland LB5 registration mark XU 7498 to be handed over in 2016. Whilst this was not present on the day two others were that will eventually be exhibited in the LTM. The two on display at Woburn were the 1914 London & North West Railway Company Leyland charabanc CC 1087 along with a 1908 London Central Leyland X2 type registered LN 7270 as shown below. At one stage during the day though, the two buses were posed alongside a modern counterpart in the shape of Metroline Travel's 'New Routemaster' LT 190.